Weekly Recap and Happy Father’s Day! Thanks-GRAN-iving and Things We’re Loving! In anticipation of an upcoming trip, we’ve been going on meet and greets through Rover and DogVacay to find a someone to watch Tucker. We’ve used Rover in the past and loved our one sitter but she is not available for an upcoming weekend so we’ve had to line up a few meet and greets. Being the crazy dog mom that I am, I absolutely hate to leave Tucker, but it is our wedding anniversary and I feel like I should potentially give my husband some more attention on that weekend. We’ve met a ton of great people and their dogs but I often get a little self-conscious about how crazy of a dog mom I am once I realize how much I talk about Tucker. For example, I have a 5 page document that Jason call’s the Tucker bible where I detail everything I can think of that might happen or things that a sitter might need to be aware of. My reasoning for this is that if I were watching someone’s dog, I’d want to know everything I could possibly know so I’m doing these sitters a favor. I’m sure some roll their eyes or possibly don’t even read it (I’m looking at you Mom and Dad).I’ve tried to make it really humorous but that probably only solidifies how crazy of a dog mom I am. I’ve been thinking more about my status as crazy dog mom this week for several reasons. I’ve already mentioned the meet and greets. 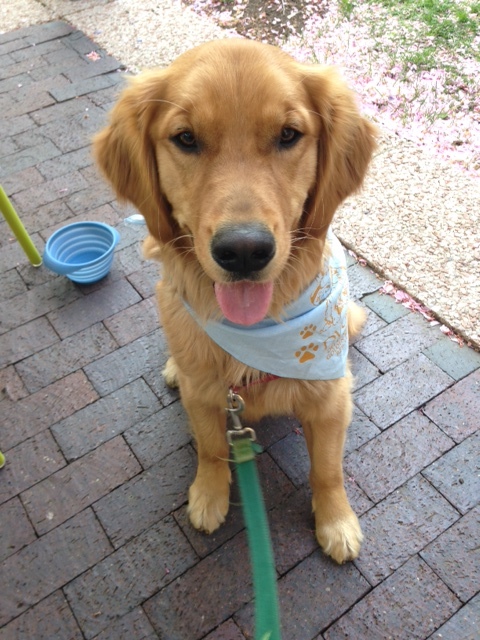 The other is I’ve kept a very close watch on Tucker this week—and remember, I already watch him super closely. He had a little diarrhea earlier this week and he has a fairly good tummy so I was worried he got into something that I didn’t see. Normal people would probably say, dogs get into things from time to time, diarrhea is OK, but of course I panic. The only change we’ve made is that our vet recently changed which Heartworm preventative pills they use and we are back on Heartgard which he’s had before but not for some time as we were using Sentinel. I gave him his monthly dosage on Monday night and then next day he had a tummy upset. I was then on poop watch…they got better as the day went on and the situation has cleared up but not before I utterly embarrassed Tucker by taking photos of his poop and sending them to Jason who was out-of-town. I’m sure he loved those photos. #SorryI’mnotSorry Tucker. The vets office told me before that they love photos like this because it can help them immensely. And, as a crazy dog mom, I love the vets office. It’s basically like going to a therapist for me. Sometimes I think if I had to do it all over again, I would search for a vet to marry. 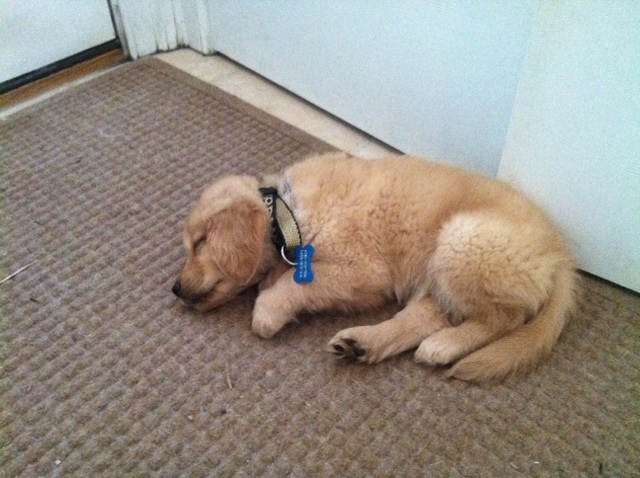 Today, Tucker took his sweet time going to the bathroom and immediately my guard was up. Remember the Homeland Security terror chart? My radar went on high alert and then he went and was jolly. Oh and yes, if you haven’t figured it out, as a crazy dog mom, I spend a lot of time thinking and talking about poop. Another reason I’ve been thinking more on my crazy dog mom status is that I am in a Word Press course on blogging to help me with this blog. I’m sure that all the attendees will love to read about my dogs poop, but ask anyone who has a dog and I bet they analyze their poop as well from time to time. So, to all my “classmates,” my name is Carly and I am a crazy dog mom. The first step is admitting you have a problem, right? Did you really think I would post a photo of his poop? 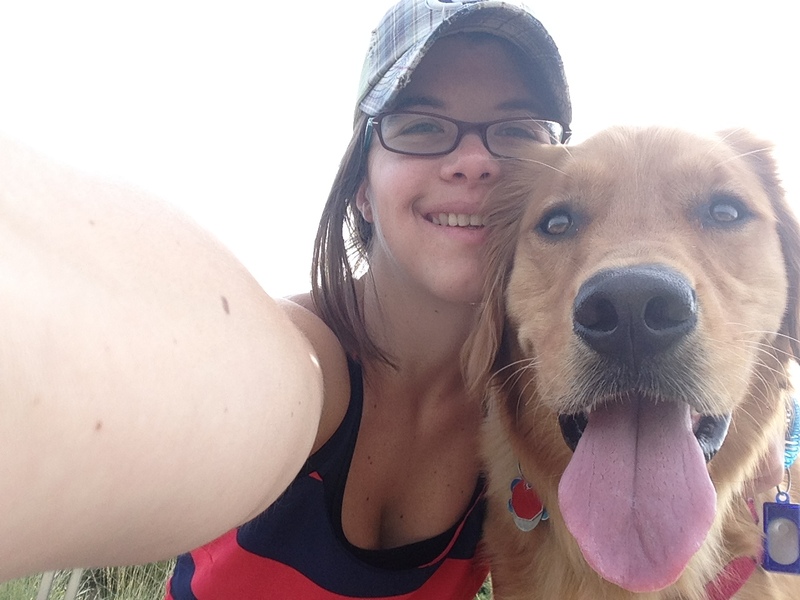 One of my goals in the next year or so is to take Tucker to a beach, perhaps in the fall when its quieter. Since Tucker has never really been swimming, I was curious to see how he might react in a pool. I heard about the Northern Virginia Animal Swim Center. This swim center offers “Learn to Swim” lessons for 30 minutes and I thought: Perfect! It’s out in Middleburg, VA so it was a little bit of a trek from Arlington, VA but we had made a plan to stop at some dog friendly wineries on the way home and make a day out of it. 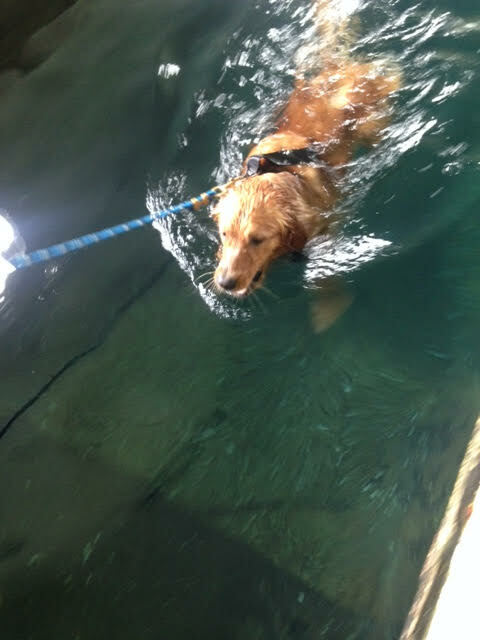 Once we made it out to the swim center, which is on acres of farmland, we met Roger, the owner and he put Tucker in a harness that had a very long lead/leash on it. We went first to a long shallow pool with ramps on either end that Tucker could wade into…Using the lead, Roger guided him in and BOOM! Tucker went swimming away to the other side. Roger had us call his name to encourage him as well. We did this a few times then went outside for a potty break before starting to retrieve balls in the pool. When Roger thought he was ready, we graduated to the bigger deeper pool- with the lead at first and then on his own. After 30 minutes, he was worn out but he swam great and Roger gave us some cues to get him to turn around in the pool. Now, of course this was a controlled pool and not an ocean so I would still be very careful, but Tucker can swim. Being a golden retriever, I thought that might be the case but you just never know! I’d highly recommend a trip out there- it’s a bit in the country but would be wonderful if you want to see how your dog does or if your dog needs to swim for any health issues. We paid $40 for a training session which included Tucker getting a bath at the end. Also, Middleburg is a really adorable town. I would like to take a time-out from Tucker’s adventures and tell you about an organization that is very near and dear to my heart. 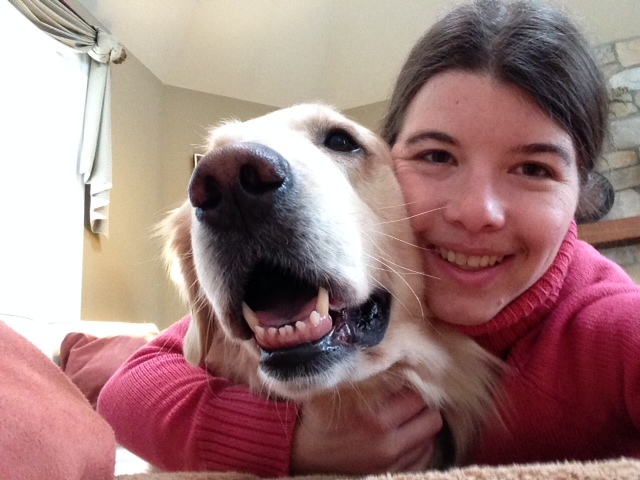 You may have read about the Delaware Valley Golden Retriever Rescue before, and now I’d like to request your support for this great organization. How did you become a dog mom/dad/family member? Some people get puppies from breeders (that’s what we did) and some people adopt dogs from rescues and shelters. 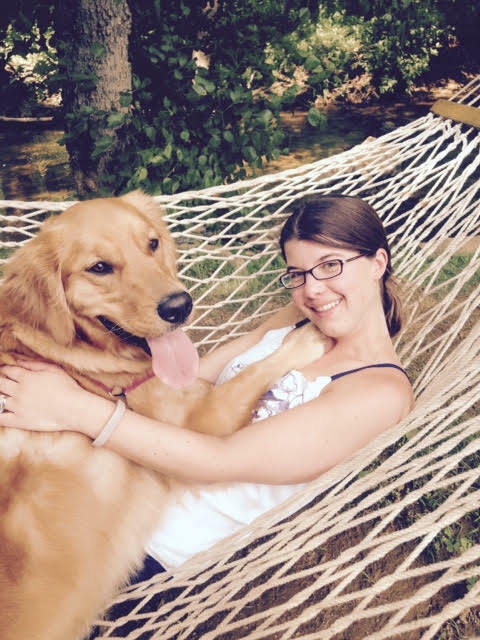 Delaware Valley Golden Retriever Rescue, located in Eastern PA provides new beginnings for displaced Golden Retrievers and Goldendoodles. 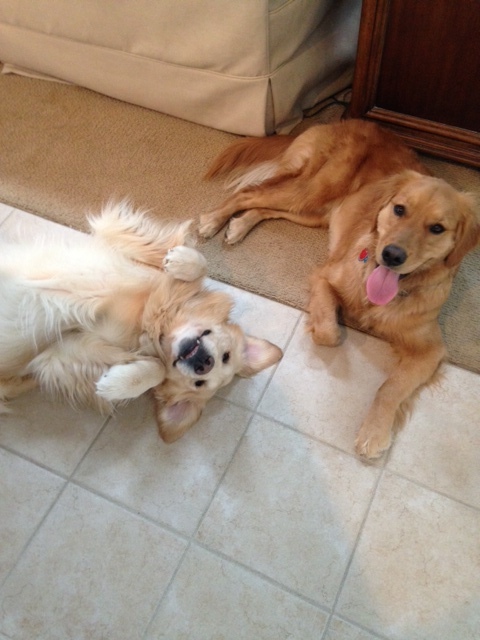 Since 1993, they have placed over 4500 golden retrievers and other DVGRR dogs into homes. My family first became acquainted with the organization when we were looking for a sibling to join Emily,the golden matriarch of our family. 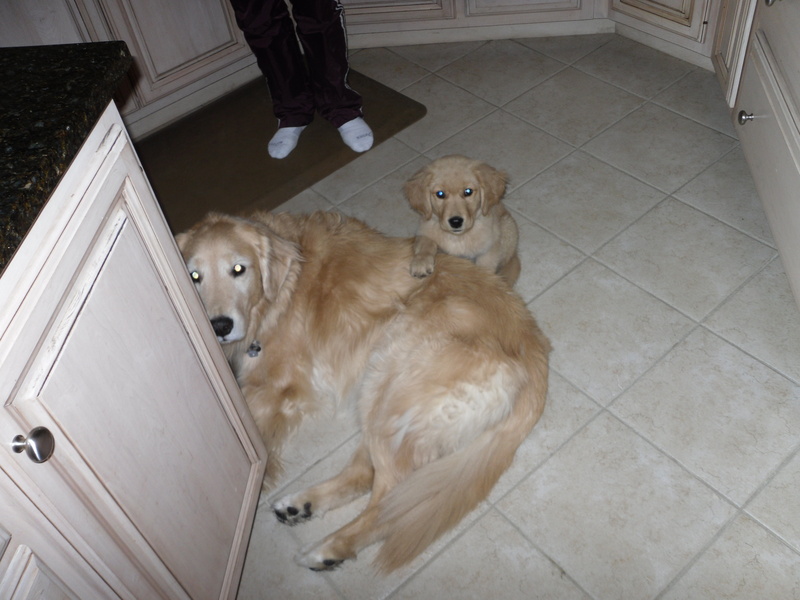 At 5 years old, we had noticed that she really enjoyed when other dogs stayed with us and thought it was time to get her a sibling. While we didn’t go with a DVGRR pup at that time, we started supporting the organization and other friends adopted through DVGRR. Fast forward to the end of 2014 and the start of 2015—Emily, our golden matriarch passed away at the age of 13, leaving a void in our family’s life. My parents weren’t sure what route they wanted to take for their next dog. They have Spenser, an 8-year-old sweet golden retriever and wasn’t sure if they wanted to get a new puppy or adopt, but knew that Spenser missed having another dog. They started looking and put in an application for DVGRR which was approved. After they were approved, they could set up appointments to visit the dogs that were ready for adoption. 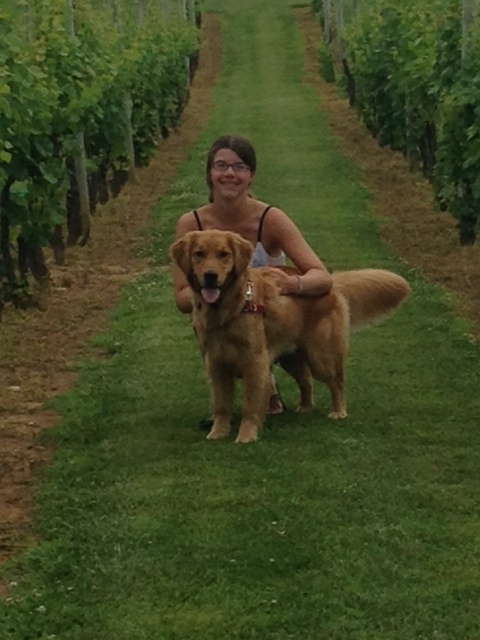 They wanted to see Oliver, a sweet 4-year-old golden who had been picked up as a stray and not claimed. Off they went with Spenser to meet Oliver. All 3 of them immediately fell in love with Oliver and Oliver was adopted by our family and was in his fur-ever home that afternoon. We miss Emily everyday but Oliver (or as I call him Oliver Wiggles) has brightened our days. He exhibits many of the same Emily quirks which is uncanny and has become a real love to all family members. We are forever grateful for DVGRR for all the care they gave Oliver and for all the care they give to other dogs. 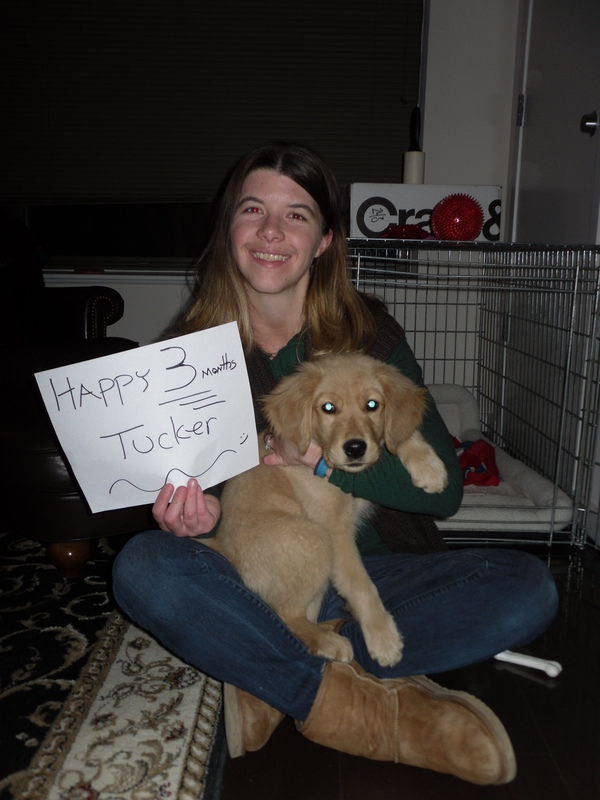 I constantly remind Tucker how lucky he is–some dogs have faced horrible circumstances in their lives, but organizations such as DVGRR have helped those dogs undergo incredible transformations. 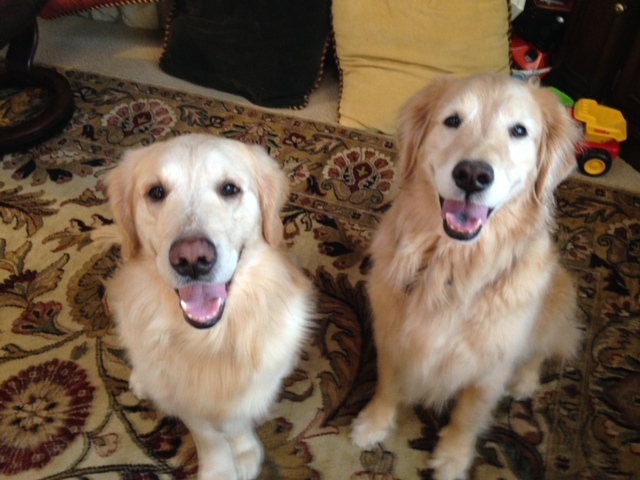 I would love to be able to adopt a DVGRR one day when we have a little more space for 2 goldens! Now, how can you help? Well that’s easy! DVGRR is participating in the Saving Pets Challenge 2015, a fundraising campaign in which animal shelters, rescue groups, and spay/neuter clinics from around the country compete for over $100,000 in grants toward innovative programs. It’s a one month challenge and the organization that raises the most wins a $50,000 donation. ALL DONATIONS GO BACK TO DVGRR. So, could you spare a few dollars? I know that you can! 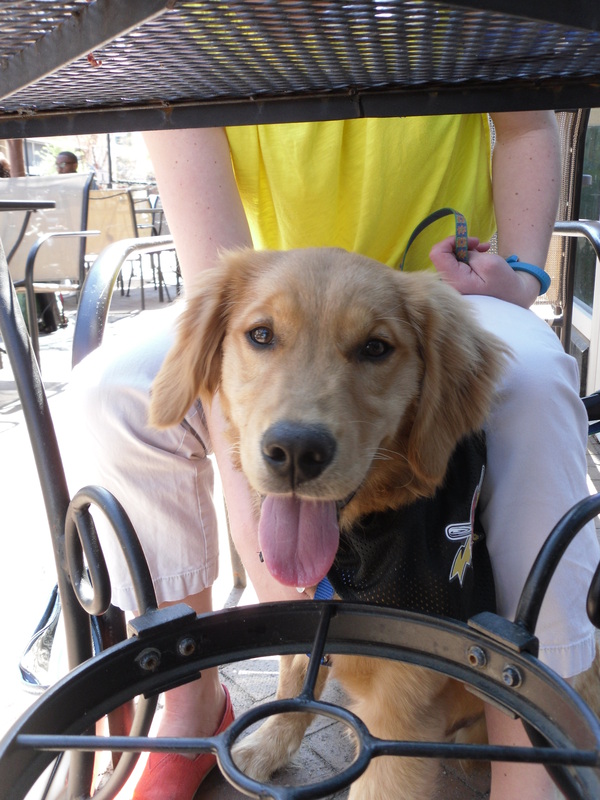 Please go here to donate (it’s my mom’s personal fundraising page for DVGRR) And if you are looking for a golden retriever, check out DVGRR’s Available Dogs page. Maybe you’ll find your next fur-child! 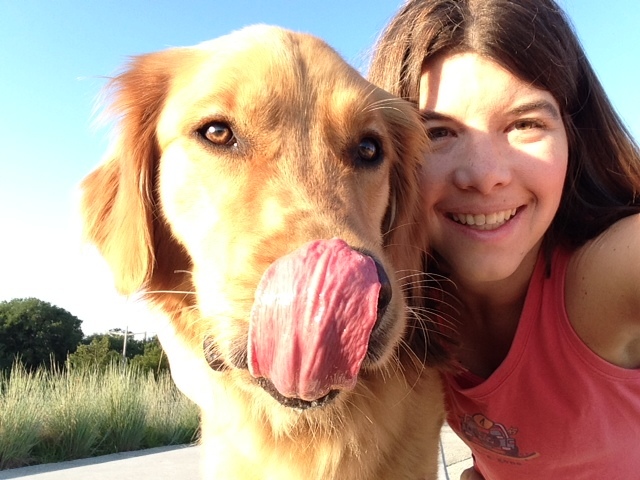 Editor’s Note: I’ve since learned DVGRR has helped over 4500 goldens. Please consider helping this great organization today!